The lazy days of summer are almost upon us, and here at the Beverage Factory we’re looking forward to long days relaxing in the sunshine with a cool beverage in hand. We know that the last thing you want to do this summer is spend hours in the kitchen mastering complicated cocktails for you and your friends, so we’ve assembled a list of 10 easy summer cocktail recipes for you to enjoy. 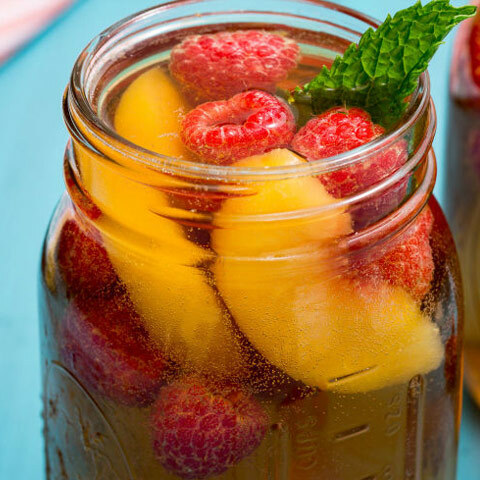 These simple recipes can be made with 5 ingredients or less, and are packed with sweet fruit, tropical coconut, and refreshing iced tea to help you savor the taste of summer. 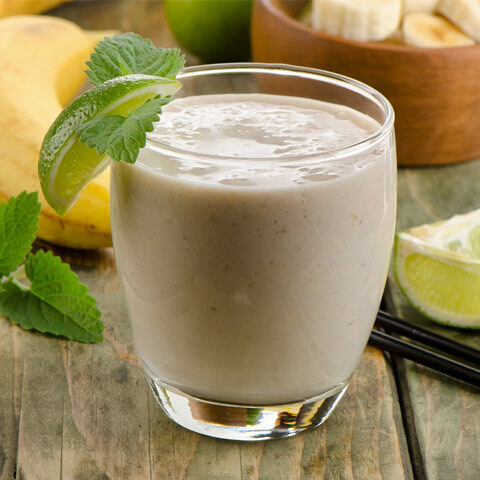 Puree bananas and pineapple in a blender until smooth, then add rum, cream of coconut, juice from half the lime, and 2 cups of ice cubes. Blend until smooth and frothy and pour into glasses. Garnish with slices of the remaining lime and toasted shredded coconut if desired, then serve and enjoy! 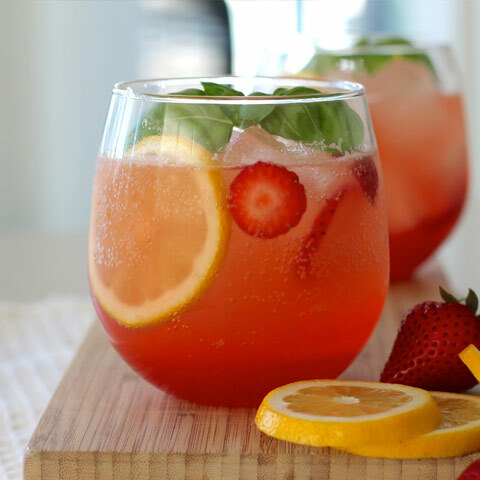 Mix ice, 1.5 ounces vodka or gin, lemonade, chopped strawberries, and basil leaves in a tall glass, then stir and enjoy! Layer basil leaves and ice in a rocks glass. Combine the guava nectar and rum in a cocktail shaker with ice and shake well. Then, strain over ice into glass and enjoy! Prepare 1/2 gallon of black tea and pour over sugar in a pitcher, stirring until the sugar is dissolved. Refrigerate until you are ready to serve. Then fill glasses with ice, squeeze lemons over ice, and fill the glasses 1/2 to 2/3 of the way with the Moscato. Fill the rest of the glass with the sweetened tea. Garnish with mint, lemon slices, berries, or other fruit as desired, and enjoy! Combine Prosecco, rum, and pineapple in a pitcher. 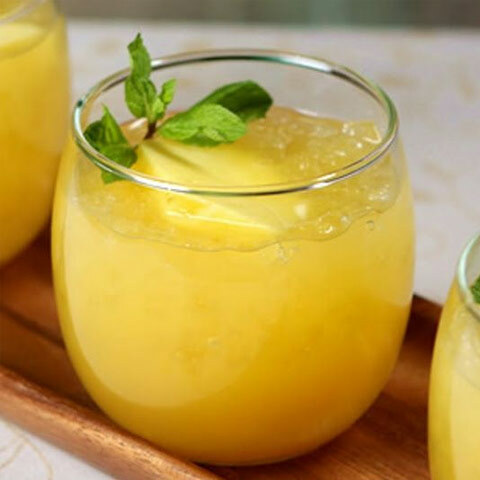 To keep it chilled, add the frozen pineapple, then serve and enjoy! 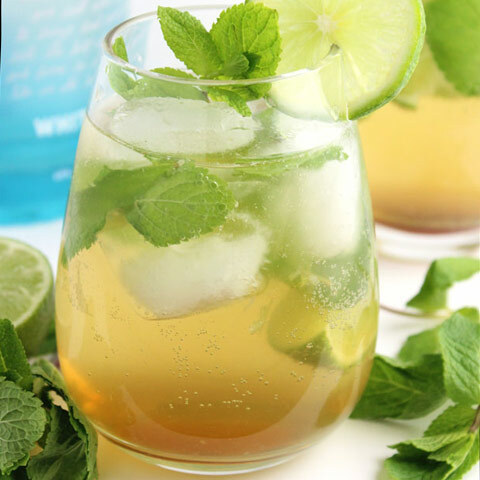 Muddle the lime juice, mint, and sugar together in a glass, then add ice until the glass is about 3/4 full. 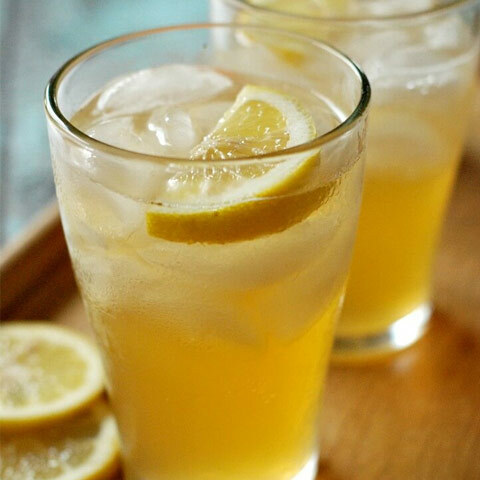 Pour in the green tea and rum, stir, and enjoy! Use a blender to blend the cubed watermelon, then pour through a strainer to remove seeds. 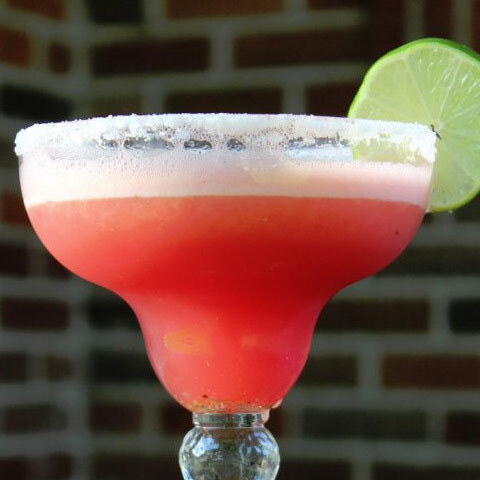 Add 1-1/4 cups watermelon juice back to the blender along with the tequila, lime juice, and ice. Blend until smooth, then serve and enjoy! 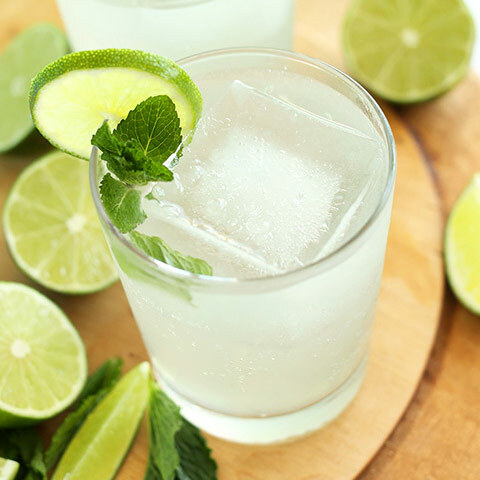 Combine ice, coconut water, gin, tonic water, and lime juice in a serving glass. 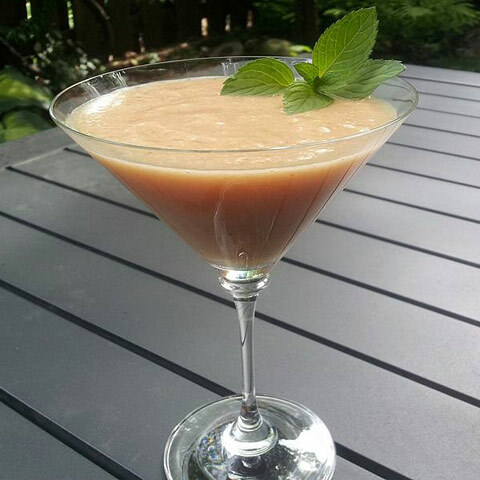 Stir, garnish with fresh mint or basil if desired, and enjoy! Ball melons and freeze for at least an hour before serving. Then, combine white wine and sparkling water in a tall glass. 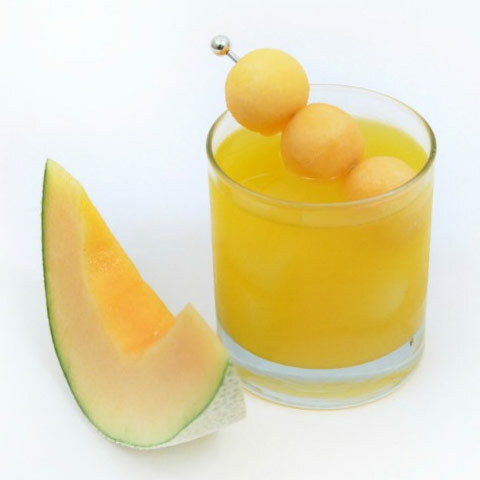 Stir, top with melon balls and ice, and enjoy! Mix honey with 3 tablespoons water, stirring well, then add honey mixture, vodka, orange juice, and lemon juice to a cocktail shaker filled with ice. Shake vigorously, then strain into a small pitcher. Add beer, serve over ice with orange slice garnishes as desired, and enjoy! For more frosty refreshments, check out our guide to the perfect wine slushies for every occasion.